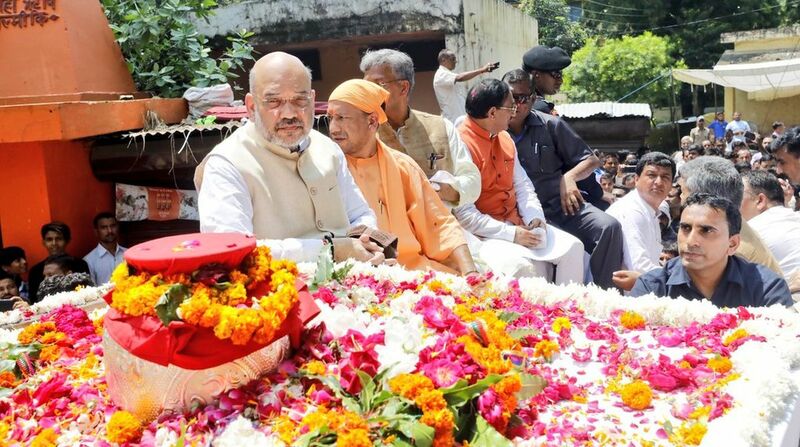 A huge crowd converged at Har ki Pauri here on Sunday to bid a final farewell to their beloved leader and former prime minister Atal Bihari Vajpayee as his ashes were immersed in the Ganga river by family members and BJP leaders. A platform had been specially raised at Brahmakund below the stairs leading into the river where the rituals were performed. Earlier a sea of humanity followed the flower-bedecked truck that carried Vajpayee’s urn through the narrow 2 km stretch in reverence to the departed leader. Elaborate security arrangements were made from Jollygrant airport to Har ki Pairi in view of the VIP movement along the route.